Cloud-based electronics design has been slow in coming. While software as a service (SaaS) solutions have long served other business applications, SoC and ASIC online design has lagged due to security concerns and the difficulty of taking complex electronic design automation (EDA) flows to the cloud. With transistor counts for today’s ICs numbering in the tens of billions, and electronic design demands routinely surpassing the capacity of company datacenters, the electronics industry must rethink the traditional model of company-owned datacenters and embrace a future where simulation, signoff analyses, and the myriad other tasks involved in SoC design and verification are done in the cloud. IT and CAD teams have struggled to meet the peak EDA compute needs of their engineering teams. Under-provisioning the environment leads to resource contention, capacity restrictions, inconsistent turnaround times, and unpredictable performance—all of which can hinder engineering productivity, project deadlines, and ultimately, time to market. Over-provisioned and expensive infrastructure sits idle, leading to resource waste. Leveraging the cloud is all about productivity, so long delays in setting up environments are not acceptable, which is why fast deployments are paramount. Speed alone, however, is not enough. Truly painless adoption means that the many cloud intricacies—job scaling, deployment processes, and other issues—must be addressed by the solution provider, not the user. As for proven solutions, no one wants to “debug” someone else’s new solution, so a cloud solution provider must have a critical mass in experience, customer success, and ecosystem partnerships. With endorsements from industry leaders such as TSMC and Arm, and worldwide deployments at many customers utilizing cloud platforms from Amazon Web Services (AWS), Microsoft Azure, and Google Cloud, Cadence is enabling the electronics industry to boost design and verification productivity like never before. Cadence Cloud is the future of electronic design, and the future is now! A platform for hybrid cloud environments that is ideal for serving peak demand. The CloudBurst platform provides fast and easy access to pre-installed Cadence design tools in a ready-to-use cloud environment built on either AWS or Microsoft Azure. A fully managed, EDA-optimized cloud environment that supports customers’ entire design environment needs. Can be flexibly deployed as a single project or as a complete environment on AWS or Microsoft Azure. A managed emulation cloud solution that frees customers from installation and operational responsibilities. 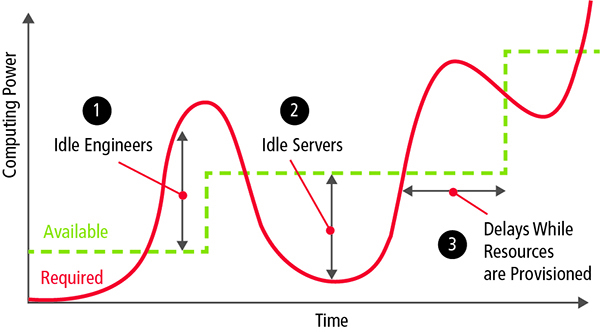 Customers can deploy for peaks or for baseline needs, which might be below those required to keep an entire emulator fully utilized. A model that provides easy access to tested, cloud-ready Cadence software and a cloud-based license server with high reliability for customers establishing and maintaining their own cloud environments on AWS, Microsoft Azure, or Google Cloud. Learn more about the security measures supporting the Cadence Cloud offerings. By utilizing the Cadence CloudBurst platform, customers can easily leverage the scale of Microsoft Azure in order to meet their peak capacity requirements thereby speeding up the time-to-market for their complex designs. Cadence has passed our rigorous cloud security audits and is authorized to engage with mutual customers on the Cadence Cloud using TSMC process models and rule decks. By initially launching the Cadence Cloud portfolio on AWS, Cadence demonstrated early leadership in the industry. We’re excited to continue working with Cadence to help systems and semiconductor companies realize the benefits of the cloud and greatly accelerate their digital transformation. Terry Wise, global vice president of Channels and Alliances, Amazon Web Services, Inc.
Our mutual customers are benefiting from the flexible Cadence Cloud portfolio of cloud-optimized services and tools coupled with Azure’s focus on silicon design workloads, scalability, and economies of scale to manage exploding demand, reduce costs, and decrease time to market. Our Cadence and AWS deployment is allowing us to deliver our platform-on-chip and subsystems for networking, storage and security applications faster so that we maintain not only our own competitive advantage but also that of AWS. We started using Cadence HDS on-premise with great success a few years ago because we needed full infrastructure and CAD and IT staff support. Now as our company has grown, we have decided to make the move to the Cadence Cloud-Hosted Design Solution deployed on Microsoft Azure in order to improve scalability. Through use of the Cadence Cloud-Hosted Design Solution deployed on AWS, we have successfully modernized our IT infrastructure for silicon design. The cloud-based approach enhanced collaboration of our world-class team, and Cadence’s support has allowed a seamless move to this new service delivery model. Simon Morling, vice president product development, DNA Electronics Ltd.
We’ve chosen to collaborate with Cadence because we see a great opportunity in front of us to move systems and semiconductor companies to the cloud via Google Cloud Platform. The Cadence approach to the cloud addresses historical industry issues, opening the door for customers to adopt the cloud and enter the next generation of chip design development. Richard Wawrzyniak, principal analyst for ASIC & SoC at Semico Research Corp.